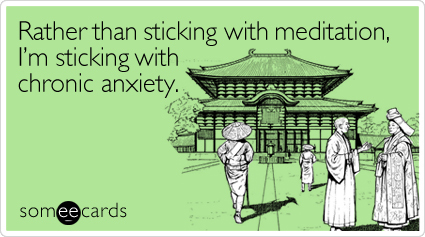 I tried to get into Meditating last year when a lot of stress was making me crazy (some would even say I was cray cray). And it worked; I cooled off a lot and found some peace within myself. But then life got crazy. I found myself single and then traveling in Europe. Then I did a teaching college internship; then I was in a new relationship. Now, I’m working on a Master’s Thesis and a new healthy lifestyle. Whoahhhh. Slow down. Even writing that paragraph made me anxious and stressed. It’s safe to say two things. 1) I got too busy and stressed to remember to meditate, and 2) stress is a major road block for me–daily/weekly. My brother Shawn has learned to not send me texts saying he needs to talk to me later because I freak out (this happened when him and Diane were getting hitched). Remember this is my year of FOCUS and get things done! So, I did some guided meditations off YouTube yesterday and ordered a few books from the local Alsip Public Library. I also grabbed some books on Buddhism to read up on as I’ve been interested in the philosophy of Buddhism for a while as well. 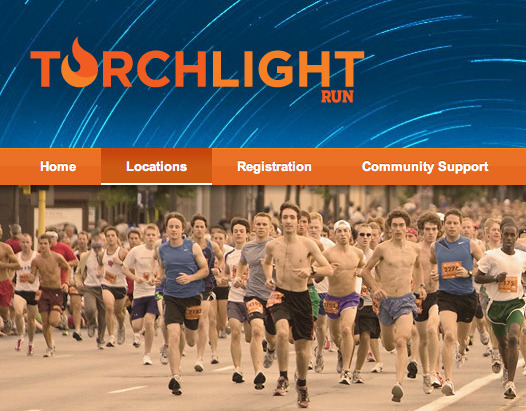 I am a sucker for a Groupon deal, and I couldn’t pass up the deal for the Chicago Torchlight 5K. The only reason I haven’t signed up for 10 races in the next year is the entry fee’s. I am a grad student after all. Just be glad I’m not eating out of a can of beans everyday! I’m excited about this race since my last 5K wasn’t the greatest experience. I say that because I was sick and coughing. I don’t regret it by any means, but Stina over at Running in Chucks will agree, my coughing was not a pleasantry that day. But, I bought this beautiful dress for my friend Stephanie’s wedding. I’m excited to wear it and feel like a girl and get dolled up. Funny story about Stephanie. I called her yesterday to change up my hair appointment. You see, Stephanie is my high school pal who does my hair and is responsible for me looking halfway decent for the last eight years. I called to change my appointment to attend the Chicago Cultural Center‘s lecture/discussion: First Friday Lecture : James Joyce’s Ulysses, a Human Work for Humans. If you don’t know what that is, let’s just say it makes me a HUGE nerd.